There is no doubt, finding the right shoes to train with is a struggle, and when it comes to Zumba training, the options become even less. So I have set out to find shoes that have the ideal features that you will need specifically for Zumba training. 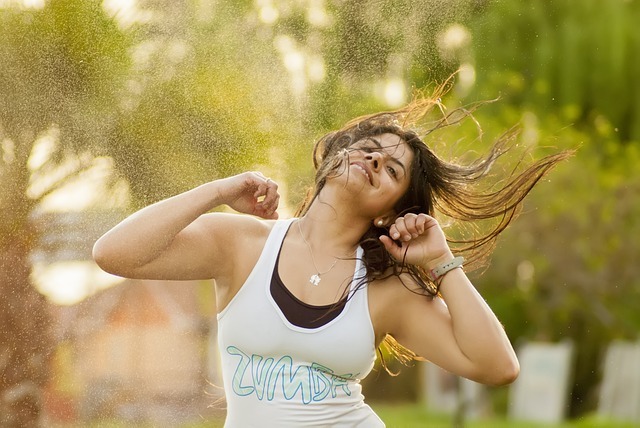 Zumba is a dance fitness program and a form of exercise that was created by Columbian dancer and choreographer Alberto Perez in 1990. This program involves dance and aerobic movements that are performed to upbeat and energetic music. The routine incorporates hip-hop, soca, samba, salsa, merengue, mambo and many other forms of Latin dance, as well as squats and lunges for fitness. It is a fun way to exercise, which is much more encouraging. Tones and strengthens your entire body. Boost your overall health, physical and emotional. A well cushioned dual impact midsole that is shock absorbing, with a moisture wicking lining on top. Medial support for your ankles and feet, a foam midsole and cushioning will likewise do the trick. keep in mid you need good shock absorbency, so cushioning and a thick midsole is key, particularly in the heel and ball of the foot area. Breathable fabrics and mesh uppers to keep your feet well ventilated and a moisture wicking liner or interior. The outsole should provide good traction without being too grippy. Look for a pivot point, this is a must in any dance training shoe. Likewise, your outsole needs to be extremely durable as dance training will take quite a bit of wear and tear to the soles of your shoes. this is a highly functional shoe that you are going to be performing intense exercise workouts in, so you need good quality and durability. Likewise quality will also give you better comfort and support that is long lasting. Your feet are important, take good care of them, invest in good quality and comfortable fitting Zumba training shoes. Pick a shoe that is lightweight and fits snugly, but not too tight. Ryka manufactures shoe models that are ideal for Zumba, it’s quite challenging to find the right shoe for Zumba or dance training, but fortunately, Ryka specializes in this area, so I have chosen a few of their top models. Available in funky fun neon color options that will give you that genuine dance sensation. The Ryka Vida RZX is a cross training shoe with all the perks of a dance shoe. A lace up cross trainer with breathable mesh underlays and synthetic supportive underlays in stunning and bright colors. The collar and tongue are padded for comfort and a more secure fit. An anatomical precision-turn footbed offers the best in flexible comfort and support. A durable rubber outsole with highly effective and functional flex grooves, that aid with faster and smoother movement. The ideal shoe for most studio and dance activities. The Ryka Grafik Flow is lightweight and flexible with all the support and comfort features that you may need for a highly effective workout. An anatomical precise-return footbed for energy return and shock absorption. The low profile compression molded EVA offers cushioned support with a gel heel clip for stability. A rubber outsole with strategic cutouts for better transitioning from one step to the other. Durable and lightweight, with breathable mesh and synthetic uppers. Available in three neutral color options, that will go well with any gym outfit. The Ryka Tenacity is the perfect shoe for cross training, Zumba and dance training. It features the popular pivot point design, which is a must with any type of dance training. High top design with lace-up features and stunning metallic stripes. The tongue and collar are padded for further comfort and a better, and more supportive fit. A precise-return insole offers lush cushioned comfort, offering the best in shock-absorbing cushioning and support. The I.H.G molded heel offers better reinforcement and stability. A high traction outsole with a pivot point design., perfect for Zumba training. Not your average Zumba shoe, but works like a charm, plus you can use it for your cross-training routine. A high traction rubber outsole with footprint design for better control. Colorful and stunning synthetic uppers in a variety of design options for you to choose from. A comfortable padded tongue and collar, for a more secure, snug and comfortable fit. Flex-Foil and Direct-Fuse support layers for comfort and support when you need it the most. The dual density foam midsole and high impact N-gage EVA aids in shock absorption and energy return, while providing comfortable cushioning. The Ryka tenacious are colorful and striking high top dance and cross-training shoes that are ideal to use for Zumba training. Breathable mesh upper construction with Direct-Fuse layers for better support, and Velcro straps for a snug and comfortable fit. A Re-Zorb footbed offers exceptional shock absorbency and abundant cushioning. A dual foam midsole for additional cushioning and an I.H.G clip for better heel stability. The durable rubber outsole has a pivot design for better traction and transition, this is the epitome of a Zumba or any other dance training shoe. The high top aids in protecting your ankles and provides more stability. The fun and funky colors of this shoe creates an exciting mood and encourages your participation. As with any other sport or fitness training, the right gear is always essential to prevent injury and to perform at your best. The same goes for Zumba, shoes that transition from one move to the next easily, while providing good shock-absorbent cushioning, with flexibility is your best option.